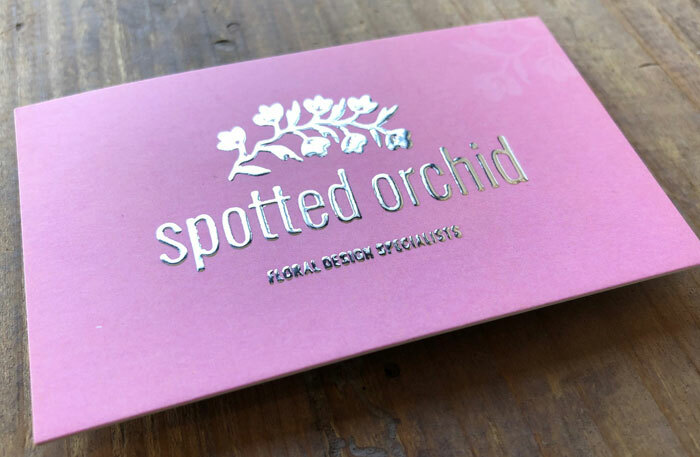 Want to take Spot foil to a new level - we have with raising it like embossing under the foil. 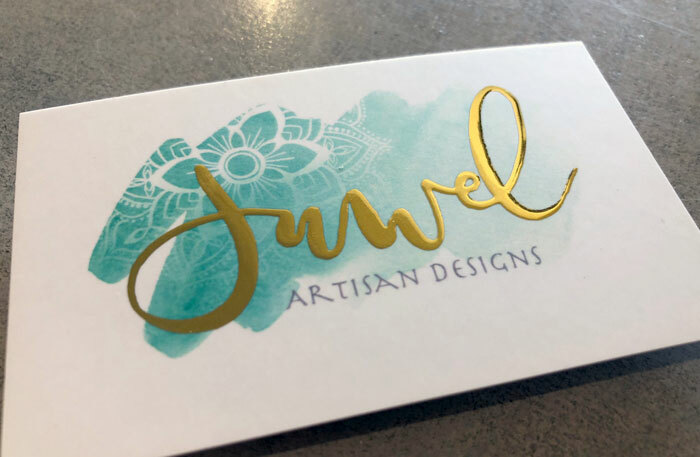 This is a new technique similar to our Scodix Clear Spot gloss except that the raised areas are Foiled in Gold or Silver in selected areas over the top of the classy matt cards printed colour 2 sides on extra thick 560gsm card. Even though all the foil colours are opaque for best results just continue any pattern/imagery underneath that area. Do not make a white copy of the foiled area in the background – this will cause registration errors and is not needed. Allow up to 10-14 working days + delivery time.